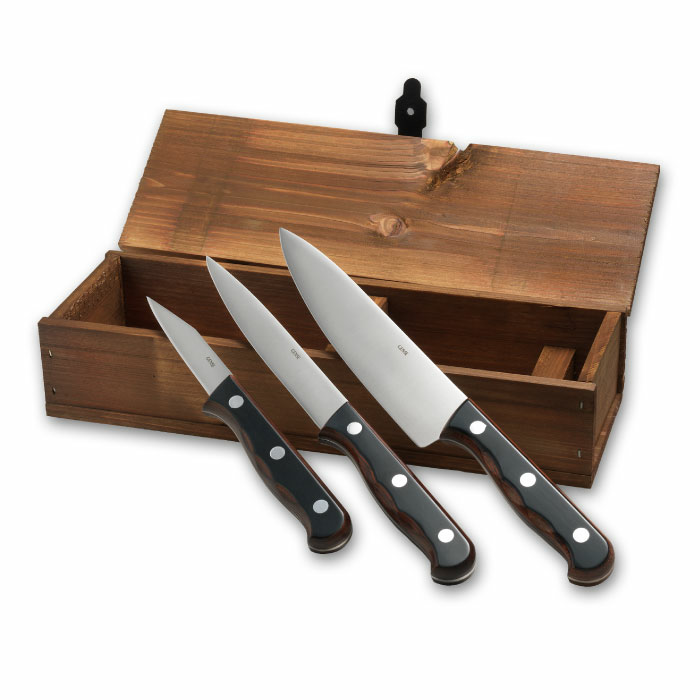 Old Farmer Classic kitchen knives are in the highest quality and the combination of materials are exquisite. The blade is made from molybdenum vanadium steel and the handle in Old Farmer Classic is made from genuine pressed wood. The Danish designer and architect, Bent Severin, has fashioned these popular set of kitchen knives, and by time some of these knives has also been advanced by Cilla Persson.